Young people from Diaspora communities participated a 5 Day bespoke the Civic and Democracy Leadership Programme which was aimed to equip young leaders to participate and engage with our Democracy so they can have a better understanding of what democracy really means and how it affects their lives. Two of our aspiring young leaders currently taking part in our Lead and Be Led programme had the chance to participate in the Faiths Forum London ‘Civic and Democracy’ week programme and met senior policymakers and departments Within Her Majesty’s Government. 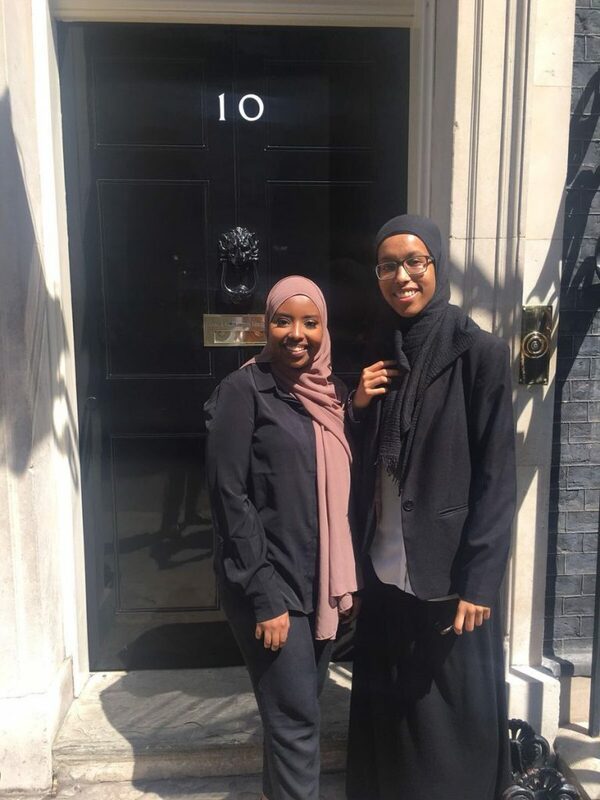 Adina and Nacima visited 10 Downing Street, St. Pauls Cathedral, Houses of Parliament and the Cabinet office as well as discussions with government ministers. 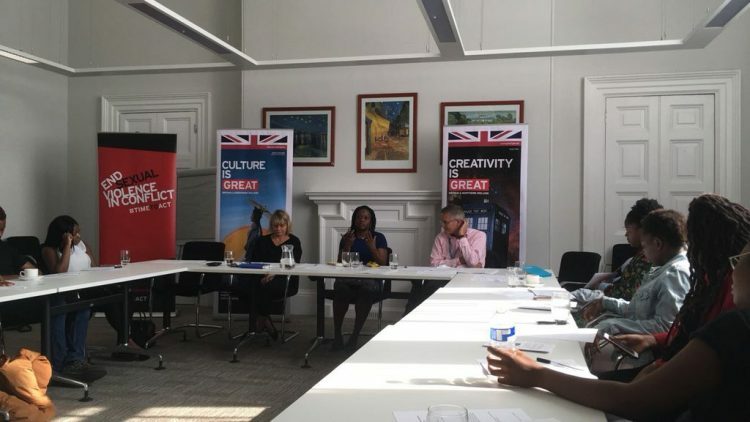 Young people on the programme were encouraged to review the government’s integration and immigration strategy throughout the week and deliver recommendations at a round-table discussion at No.10 on Friday 6th July with the Prime Minister’s special advisors. Adina and Nacima also met representatives of the Ministry of Housing, Community and Local Government who discussed economic growth in regard to public and private investments throughout the UK, and also the rise in hate crime across the UK after Brexit. Our participants found the entire experience “insightful and impressive, having met many influential politicians who provided compelling arguments to enter politics” such as Labour MP Afzal Khan and Baroness Sayeeda Warsi. Adina has also completed another leadership programme last week with the – Aleto Foundation in collaboration with BT. 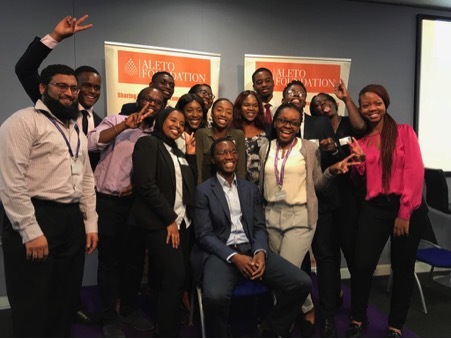 The Aleto Foundation is a “social mobility charity that provides practical support to young people” to develop their professional and personal leadership skills. 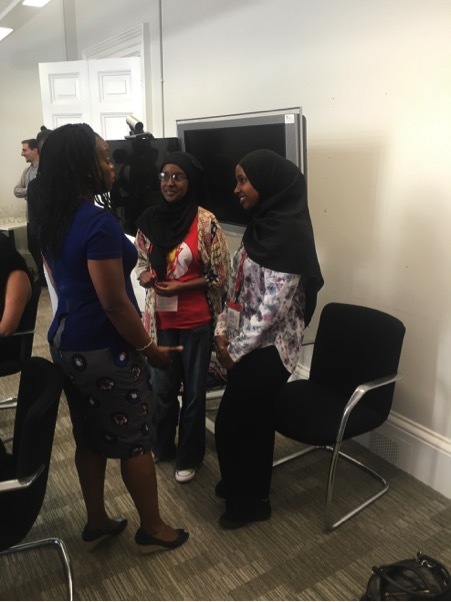 Also last week, Hiba and Amal visited the Foreign Commonwealth Office for a special meeting with the High Commissioner to Mozambique NneNne Iwuji-eme – the first Black female UK career diplomat. The session focused on leadership within the civil service and the importance of diversity within the sector especially from women of colour. The Lead and Be Led Programme is funded by The Big Lottery Fund aims to develop the active citizenship capabilities of our young people by engaging with wider society and local communities in a way that is valued and appreciated. This year we have delivered training to 30 young people and continue to support with employment, education and training activities as well as enabling young people to deliver social action projects on issues that matter to them and their communities.